How to Make Soursop Juice Fresh .Soursop fruit is a fruit that is known to have many benefits for health benefits. Soursop fruit is ripe or which has the Latin name Annona muricata also has flavors of sweet, sour and delicious. For this meeting we will share the recipe how to make sweet and sour soursop juice and segar.Karena in addition to enjoy instantly, this fruit can also be made ​​into some kind olahan.Dan one olahanya is made ​​in the form of juice, the juice soursop. Perhaps this soursop juice menu including one drink fresh faforit you and your family. Talk about the process of making soursop juice, can be said is very easy and simple. To search for soursop fruit, you can get on the market, which is usually sold by the kilogram. Well, besides that soursop fruit also can be in the form of a dish if dodol soursop. Certainly the flavor is also very sweet and delicious. 300 grams of ripe soursop fruit, peel the skin and then store the meat in the container. First, shredded fresh soursop-shredded meat by hand. Subsequently clean the blender. If so, enter the meat soursop into the blender. Then grab the ingredients are like white sweet condensed milk and sugar cubes to the blender terisikan meat soursop. Next, prepare the water and pour it into a blender, then close tightly the blender. Lastly, blender juice mixture until creamy and smooth invisibility. If so, the soursop juice pour into twelve and add the ice cubes that have been destroyed. Done, Serving sweet soursop juice fresh asm ready to be enjoyed. That Recipes How to Make Fresh Asam Manis soursop juice . Hopefully useful for those who want to try. 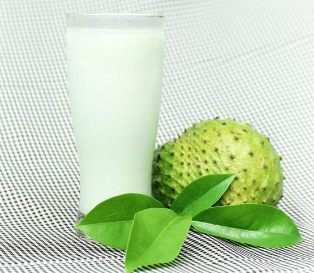 0 Komentar Untuk "How to Make Soursop Juice Fresh "